Enthusiastic, positive and committed to exceeding client expectations, Michelle Michell of Elders Sylvania offers a strong track record in sales, marketing and property management, where she secured record prices for an extensive range of properties. Having worked in the Sylvania the waterside suburb for over 14 years, with a total of 26 years in real estate, Michelle understands the level of service the marketplace expects and is totally focused on exceeding those expectations. Michelle enjoys the constant people interaction that real estate offers, and consistently meets her clients’ needs by listening to their goals and providing attentive customer service. 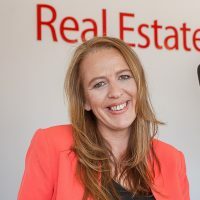 She thrives on real estate’s many challenges, and with her strong sales and property management background, Michelle is in an excellent position to offer her clients advice on how to grow their property investments and portfolio. Determined and persistent with an eye for detail, Michelle is unwavering in seeking out the market’s highest offer in every instance, using a smart and highly practical approach to delivering excellent outcomes. She leads Elders Sylvania with her professional ethics and goals, and is excited to be part of the hardworking and high achieving team. For in-depth market knowledge and an ability to adapt to ever-changing market conditions, Michelle Michell is an excellent choice to market, sell and manage your property.